The June 2013 issue of St. Anthony Messenger featured an interesting article by Theresa Doyle-Nelson on Blessed Louis Martin and how he would be a wonderful patron saint for those struggling with mental illness. St. Dymphna has been my go-to saint for praying for those with mental illness, and she is a great help. But Doyle-Nelson makes a strong case for asking Blessed Louis Martin for help. He was the father of St. Therese of the Child Jesus. In his older years, he suffered from depression and hallucinations. He was ultimately committed to a mental ward. In retrospect, it seems likely that he may have been suffering from Alzheimer's. Doyle-Nelson writes: Blessed Louis Martin's struggle with mental affliction can encourage others to accept similar trials, to glorify God on good days, and believe that God is still close on difficult days. Louis exemplified sharing in Christ's cross, allowing God to do what he wills for us. People suffering from mental illness and their families can learn from Louis that the trial may be painful, but that it is temporary and can be endured with God's help. The Life I Dreamed by Kari Burke focuses on Emmy, a worn-out mother of four young children and her husband Jason who works as an underpaid youth minister. Emmy is struggling through a typical crazy day in her life when her husband takes a phone call that changes their lives forever. Kaila Noble, a young woman from their parish, is sixteen, pregnant, and scared. She’s told one friend who told her to get an abortion and move on with her life. Jason and Emmy meet with her and encourage her to talk with her parents, but they tell her to have an abortion or leave their house. When she has nowhere to go, Emmy and Jason take her in and their lives take on a whole new dimension. Told in Emmy’s first-person voice, The Life I Dreamed is one of the most refreshingly honest works of Catholic fiction I’ve read in a long time. Emmy wants very much to do the right thing and is trying to live her Catholic faith to the best of her ability, but she is completely at the end of her personal resources. When God (and her husband) ask her to take on one more thing, she feels like she is going to break. 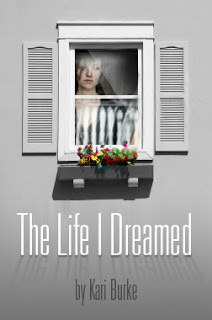 The Life I Dreamed is a beautiful pro-life story well-worth reading that anyone who struggles with doing God’s will in their lives can relate to. 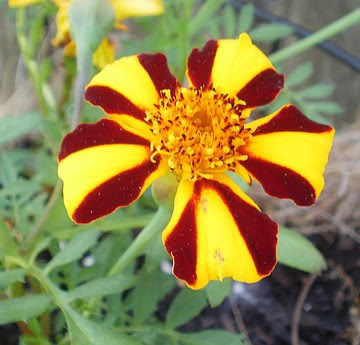 A marigold from my garden. In this collection of faith-filled reflections by fourteen Catholic men, the value of a Catholic father’s identity and purpose is affirmed in the context of modern society. Acknowledging our workaholic tendencies and the constant struggle to strike a balance between family life and work life, fathers are provided with a realistic approach to making their relationships with God, their wives, and children more involved and fulfilling. Blending personal anecdotes from Catholic fathers, models of fatherhood in Jesus’ parables, Scriptural passages, references to other publications, and allusions to Church teachings and figures of authority, this guidebook helps Catholic dads find the path to living as faithful family men through three simple steps: pray, love, confess. A little girl saves her pennies and buys what she believes is the most beautiful thing in the world: an imitation pearl necklace. She wears the dime-store accessory to school, during playtime, and even to bed. After having the necklace in her possession for some time, her father, who tucked her into bed gently and lovingly every night, began to ask her for the necklace. The little girl is confused. Why would her father want her to hand over her precious pearls? She responds by offering him her favorite doll. The next time he asks for the pearls, she offers her stuffed animals and various other toys that don’t mean nearly as much as those pearls that make her feel so beautiful and so grown up. Finally one night, realizing her father loves her and would never do anything to harm her, she hands him the pearls with tears in her eyes. In return, he reaches into his pocket and takes out a beautiful strand of genuine, shiny pearls. Of course, the father in that story is our heavenly Father, who knows better than we do what is good for us. And we are the little girl, holding on tightly to what we know and love. In Luke 18:29-30, Jesus states, "No one who has left home or wife or brothers or parents or children for the sake of the kingdom of God will fail to receive many times as much in this age and, in the age to come, eternal life." The vast majority of us will never be asked to give up our family to follow Christ, yet there are cases when this is so, when people are rejected by their families because of their faith and must continue on their faith journey alone. In smaller ways, though, we all are asked to hand over our families to Christ, to let go of our supposed “ownership” of them. Our spouses and children are given to us for a season of life, to love and care for, but each one ultimately belongs to God. Especially with a child, it can be so hard to realize and remember that he or she is God’s first and ours second. We need let go of our plans for that child, and trust in God’s plan for that child. The same holds true in our own lives. How often we want to hold on to our own plans, and how often does God laugh! I wish I could tell you I’ve found the perfect recipe for letting go and letting God be in charge, but I haven’t. I offer my day to Him every morning, try to remember to say “Jesus, I trust in you” often, and remind myself that He is in charge of all those things I have no control over, and yet, I still struggle. I’ve gotten somewhat better at accepting the everyday disturbances in my plans – not being able to go somewhere I had planned on because a child needs me, or getting stuck in traffic, or a change in an appointment, or having to wait in line for long periods of time, or missing key points of the Mass because I’m in the bathroom with a toddler – those kinds of things I just offer up and move on. But the big things, when God takes my plans and dreams and crushes them with a big giant fly swatter – oh, those I still am likely to cry over, big wracking sobs. It’s hard to trust that God knows best, that He has something better in mind – at least in light of eternity. Someday it will all be clear. In the meantime, I’m going to keep working on letting go and trusting God. And maybe, someday, I’ll actually be good at it. It has been a while since I've had the chance to post one of these. This one has been done for about a month; I just haven't had the chance to upload the pattern. I finally got to it tonight. This is my take on a crown of roses for St. Rose. The brown represents the thorns and the pink and red the roses. 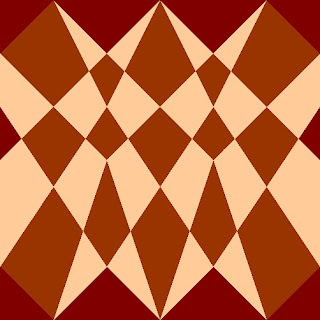 To find out more about St. Rose and this quilt block, please visit: Quilt Block in Honor of St. Rose of Lima. CatholicMom.com is hosting “Lawn Chair Catechism” on Wednesdays this summer, beginning on May 29. We’re using Forming Intentional Disciples, by Sherry Weddell, as the basis for our study. We have put together a discussion guide that includes both the executive summary of each chapter and discussion questions, and a two-page discussion question-only download. We’d love to have you participate! You do not have to read the book to participate. Our Sunday Visitor is offering the book for the incredibly low price of $10 through June 8, with free shipping. After June 8 and through the conclusion of our study, they’ll be offering free shipping. 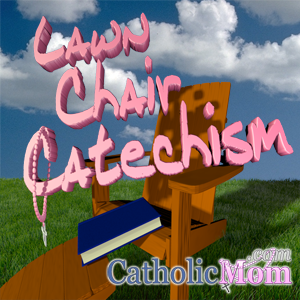 You can find all the information on the Lawn Chair Catechism page at CatholicMom.com. So You Think You Are Pro-Life? I've written before how being pro-life involves more than simply having a personal conviction that abortion is wrong. Don't get me wrong - that personal conviction is a great start and we definitely want more people to share that conviction. But - we also need to be willing to live out that belief. Protecting and defending life is an all-encompassing call. It is not just about the babies, it is about their mothers, their fathers, and their families. Yes, people need to speak for the unborn when they don’t have a voice, but if that is the primary focus, we are completely missing the mark. The mother is the one who ultimately decides the fate of her child, so if we aren’t pursuing the healing, and genuine interest of her life, then we are utterly failing. In fact, if I’m completely honest, when I was in the midst of my unplanned pregnancy, the slogans out there like “abortion kills a child” or graphic pictures of aborted babies made me resent the pro-life movement. I understand their motives to spread awareness of the realities of abortion, but for the woman in the crisis (the very women that are considering abortion, the women we need to reach the most) this is a huge, huge turn off. When you only focus on saving the life of the baby, you fail to acknowledge something very important, and that is that the mother’s life needs to be saved too. Did we already forget that the very women who find themselves in unplanned pregnancies and who are considering abortion are very broken, afraid, and alone? They need some serious, genuine love and healing. But, quite frankly, when there is all this hollering for the babies, the woman in the crisis thinks she is forgotten. She thinks everyone just cares about the baby, no one cares about her. We cannot forget about the mothers, fathers, and families of the unborn. They matter too. They are the ones making decisions, and we need to support them. Please read her suggestions at: So You Think You Are Pro-Life? I was out planting my garden this weekend (hope springs eternal!) and thinking about these tiny seeds that I was scattering on the earth. Every plant that we see comes from a seed. Admittedly some are bigger than others but it is still pretty amazing that a huge tree or a beautiful flower can come from such a tiny start. That led to my thinking about people - how we all get here from the meeting of two cells - Two Cells! And those two cells contain all the genetic information to create a walking, talking, thinking, full-of-potential human being. These are the type of things we don't think of all that often, but creation is amazing, full of miracles that by all rights should not occur. One slight change in our world and none of this exists. Please join me in praying an "Our Father" for all those impacted by the Oklahoma tornadoes. Our Father, who art in heaven, hallowed be thy name. Thy kingdom come. Thy will be done. On earth as it is in heaven. Give us this day our daily bread and forgive us our trespasses as we forgive those who trespass against us. Lead us not into temptation, but deliver us from evil. Amen. I was at Mass this evening celebrating Pentecost and my mind went back to this article I wrote a few years ago. I think that is a sign that I should re-post it. Come, Holy Spirit, Come. Galatians 5:22-23 lists the fruits of the Holy Spirit. These include love, joy, peace, patience, kindness, goodness, trustfulness, gentleness and self-control. It seems that as mothers, we can use an extra helping of each of these. Please help me to love my children even when it is hard: when it is 2 a.m. and the baby is crying, or the two-year old is having a tantrum, when the six-year old is telling me he hates me, or when the teenager has just slammed the door for the 167th time. Please help me to have joy in the little moments. Please help me to appreciate the smiles and fun that my children have, to rejoice in the small gifts that come my day amidst the hard work of parenting. Please grant me the gift of peace, peace in my heart even when the whole world around me seems to be in turmoil. Help me extend that peace to my children so that they can grow up knowing that peace, not violence, is the answer. Please help me to have patience, patience, and more patience. I can always use more! And when that supply is used up, please help me to find just a little bit extra. Please help me to treat my children, and all those whom I meet, with kindness. Let my children know by my example that kindness can change the world. Please help me to be good. My children’s eyes are always upon me, and my actions speak much louder than my words. Help me to be a good example to help them learn how to live. Please grant me the gift of trustworthiness. Help me to be a person of my word, to say what I mean and mean what I say. Help me to honor my commitments and keep my children’s confidences. Please help me to be gentle with my children’s hearts. Help me to remember what it was like to be a child. Help me to offer all the support and healing to them that I can. Lastly, please assist me with my self-control. Help me to keep my desires and weaknesses in check. Help me to put my children first. Help me to be the best mom that I can be. May is a month especially dedicated to Mary, our Mother in heaven. And all of us mothers here on earth can look to her for example. Ginny Kubitz Moyer offers a beautiful reflection on Mary and motherhood in the Mary 2013 issue of St. Anthony Messenger: Mary, Exemplar of Faith. Over the six years that I’ve been a mom, I’ve learned that there are certain qualities that are very useful for parents to have. These include a sense of humor, the ability to multitask, and the knowledge of which battles to pick (note: forcing a toddler into a sweater he doesn’t want to wear is the very definition of “lost cause”). As important as all these are, though, I think the most useful parental quality is faith. What is faith? I’d define it as the ability to trust that there will be good things ahead. It’s the knowledge that this moment—this crosscountry flight with a screaming baby, this child’s scary bout with pneumonia—is not the final chapter. Something good is waiting to happen. Often that something good is over a distant horizon, impossible to see from where we stand. Faith is the certainty that it is there all the same. Every parent faces countless situations where faith is required. When I think of Mary, it’s clear that she was an expert in this area. She gave birth on the road; she had to escape to a foreign country for her baby’s safety; she even lost her teenage son for a few terrifying days. When her child was an adult, she saw him saying things that hit a little too close to the bone of the powerful ones, who ended up killing him. All of it must have taken extraordinary faith on Mary’s part. And yet, even she must have been surprised and overjoyed at the exact nature of the good things that were finally revealed: a resurrection, eternal life, a fleet of devoted friends who would travel the globe to share the message of her son. Today is the last day for the Ave Maria Facebook Contest and the featured names are Gwen and Theodore. Gwen is a Welsh name meaning "white wave" or "white browed." Variations include Gwenesha, Gweness, Gwenata, Gwenite, Gwenn, Gwenna, and Gwyn. St. Gwen (fifth century) was a daughter of Brychan of Brecknock. She married St. Fragan and was martyred by pagans. According to legend she had three breasts. For this reason, she is invoked for women's fertility. Theodore is a Greek name meaning "gift of God." Variations include Teadomiro, Tedor, Teodus, Teos, Theodon, Theodor, Theodorus, Todor and Tolek. Some saints with the name Theodore are St. Theodore of Bologna, St. Theodore of Chotep, St. Theodore of Egypt, St. Theodore of Emesa, St. Theodore of Pavia, St. Theodore of Pelusium, and St. Theodore of Tarsus. St. Theodore (d. 310) was a deacon at Pentapolis, Lybia. He and Saints Irenaeus, Serapion, and Ammonius were tortured by having their tongues cut out. All survived the ordeal and died of natural causes, but they are considered martyrs due to their willingness to die. 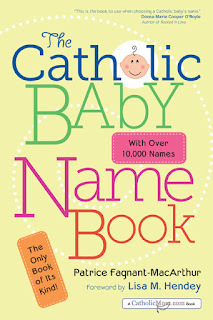 Today's featured names on the Ave Maria Press Facebook Contest are Diana and Stephen. Diana is a Latin name meaning "divine"
Bl. Diana d’Andalo (d. 1236) was born into a noble family in Bologna, Italy. She became a Dominican nun and helped found the Monastery of St. Agnes. She was one of the first three Dominican nuns in Bologna. Stephen is a Greek name meaning "crowned"
St. Stephen (d. 33) was a deacon and preacher who became the first Christian martyr. He was stoned to death by angry Jews. Saul, who would later become St. Paul, was present. 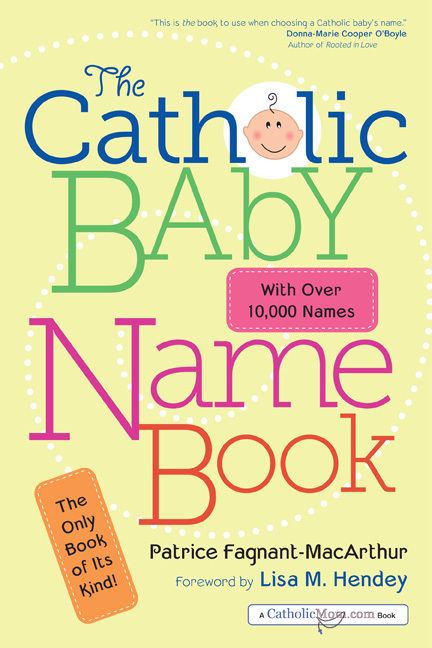 Today's featured names on the Ave Maria Facebook Contest are Julia and Nathan. If you have that name or know someone with that name, please head on over to enter. Julia is a top 100 Name that comes from Latin. It means "youthful." St. Julia of Corsica (seventh century) was born in Carthage to a noble Christian family. She was captured by Vandals and sold into slavery to a pagan named Eusebius. When the ship landed at Corsica, she was commanded to take part in a pagan festival. She refused. Her hair was torn out of her head, and she was martyred. Nathan is a Hebrew name meaning "gift of God"
Nathan in the Bible was a prophet who lived in the time of King David. He reprimanded David for his relationship with Bathsheba. He also wrote histories of the reigns of King David and King Solomon. King David named one of his sons after him. His story is told in the books of Samuel, 1 and 2 Kings, and 2 Chronicles. Today on the Ave Maria Facebook Contest, the names of the day are Audrey and Leonard. Audrey is a top 100 Name. It is an English name meaning "noble strength." St. Audrey (d. 679), also known as Ethelreda or Etheidreda, was an English princess. She had taken a vow of virginity but was married anyway. Her first marriage ended after three years when her husband died. of virginity, but he refused. He instead helped her to escape. Her husband followed her, but he eventually gave up and married someone else, and Audrey became a nun. She founded the Abbey of Ely and lived an austere life. She died of a large tumor on her neck. Leonard is a German name meaning "brave as a lion." St. Leonard (d. 559) was a Frank courtier who converted and became a monk at Micy. He lived as a hermit at Limoges. The king asked him to pray for the queen who was having a difficult delivery. When she delivered successfully, the king offered him all the land he could ride around on a donkey for a day. On that land, he founded Noblac Monastery. He is invoked to help women in labor and for prisoners of war. I was thinking today how this was my 13th Mother's Day as a mom. That first Mother's Day, my little David was only one month old. I was exhausted and completely overwhelmed and I recall that he puked all over me during our Mother's Day dinner. I can look back and laugh now, but those were tough days. Two years ago, Mother's Day was two weeks after I had just been handed two small children. I was once again exhausted and completely overwhelmed. At least, by this time, I had the wisdom and experience to tell our moms (and my sister) that "We love you all and wish you a Happy Mother's Day, but we will not be hosting Mother's Day Dinner because I just can't do it." And so, today, I'd like to offer a prayer for all new moms, whether it is their first or their tenth, who are tired and stressed and weighed down by motherhood. May God be with them as they navigate this new season of their lives and give them strength in this life that He has called them to. This e-book contains three very different short story offerings from writer Karl Bjorn Erickson. "Stars Within the Glass" is a fantasy, set in a bizarre world where nothing is as it should be. The character's journey explores the finality and tragic nature of suicide. While "Light in the Darkness," also falls into the broad category of fantasy, it could not be more different from the first tale. Have you ever wondered if there are mermaids swimming along the Oregon Coast? Read on to discover if their purpose is for good or ill. 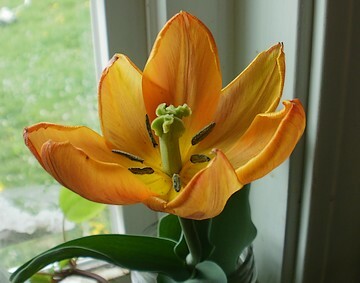 The tulips are mostly dead now, but that is okay - the whole world seems to have come into bloom. Still, this one dying on my windowsill struck me as unusually beautiful. The featured names of the day on the Ave Maria Facebook Contest are Virginia and Kevin. Know someone with those names? Go over and tag them for a chance to win. Virginia is a Latin name that means "pure" or "virginal". Variations include Ginata, Ginger, Gingia, Ginia, Vergie, Verginia, Virge, Virgene, Virgen, Virginio, Virgy, and Virjinia. St. Virginia Centurione Bracelli (1587-1651) was the daughter of the Doge of Genoa. She entered into an arranged marriage to Gasparo Grimaldi Bracelli, who was a drinker and gambler. He died after five years, and she was left a widow with two small children. She raised her children and spent her free time in prayer and charity. After her children were grown, she devoted herself entirely to charitable efforts, opening her home to the needy. She built extra housing and started a hospital. She started the Sisters of Refuge in Mount Calvary and the Daughters of Our Lady on Mount Calvary. She was canonized by Pope John Paul II in 2003. Kevin is one of the Top 100 most popular names. It is a Gaelic name meaning "handsome." Some variations are Kaiven, Keaven, Keivan, Kevan, Kevian, Kevinn, Kevis, and Keyvin. St. Kevin (d. 618) was the son of Leinster nobility. He lived with monks from the age of twelve and studied for the priesthood at Cell na Manach. After being ordained, he lived as a hermit for seven years. He attracted many followers and founded a monastery at Glendalough, where he served as abbot. In time, it became a town and is now part of the archdiocese of Dublin. Last year's Mother's Day was a bit of a disaster with both my big boys forgetting to make me a card. They did make up for it, taking me out for ice cream the following Sunday, but we would all prefer not to have a repeat of that misstep. I was just tucking David into bed and he told me "I just spent twenty minutes on your card." "And was I not worth twenty minutes?" I asked, bracing myself for the answer. "Mom, you'd be worth an hour and a half." he said as he gave me a big hug. St. Helen of Skovde (d. 1160) was born to a noble family in Sweden. After her husband died, she gave all her possessions to the poor and made a pilgrimage to Rome. When she returned, she was falsely accused to being involved in her son-in-law's death. By the time her innocence was proven, she had already been executed. Many miracles were reported at her tomb. Ethan in the Bible was a cymbal player in King David's court. He is the author of Psalm 89.